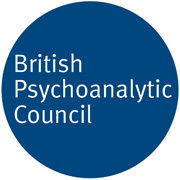 I trained as a supervisor with the British Psychotherapy Foundation and work with individuals and groups from a psychodynamic perspective. My experience is with counsellors and psychotherapists at all stages of their career including those in training. Please get in touch for further details and to discuss your requirements. I provide a confidential space to reflect on and process the day to day experience of working in key roles that are highly pressured and those that regularly lead to stress and involvement in traumatic events. I work with individuals and small groups of healthcare professionals, frontline emergency workers, and social work professionals to help them reflect on their interactions with those they come into contact with and to help work through some of the inevitable difficulties in taking up & maintaining their roles. Particularly challenging traumatic events & experiences. Day to day experience of coming into contact with complex, chaotic & painful situations or crises.